The event was founded in 2014 and verified by Guinness World Records as ‘The Largest Sailing Race in the World’. It is open to all sailing clubs, yacht clubs, schools, universities, scout groups, sea cadets, windsurfing clubs, individuals and any venue globally that can host a race and is inspired to take part. Each individual event is organised by a venue who are the the organising authority for all activities at their site. 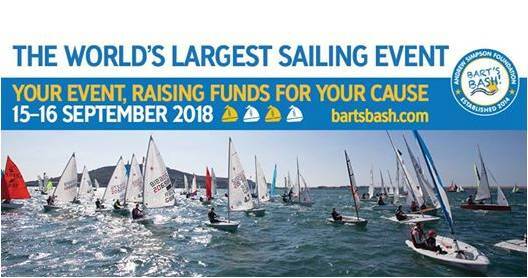 Bart’s Bash gives the sailing community a united opportunity to remember Andrew ‘Bart’ Simpson, a double Olympic medallist who tragically lost his life whilst training for the America’s Cup in 2013. The Andrew Simpson Foundation (ASF) uses this event alongside being a memorial, for an annual fundraising and participation campaign to allow them to achieve their charitable aims each year. The ASF are dedicated to increasing participation and improving lives through sailing.